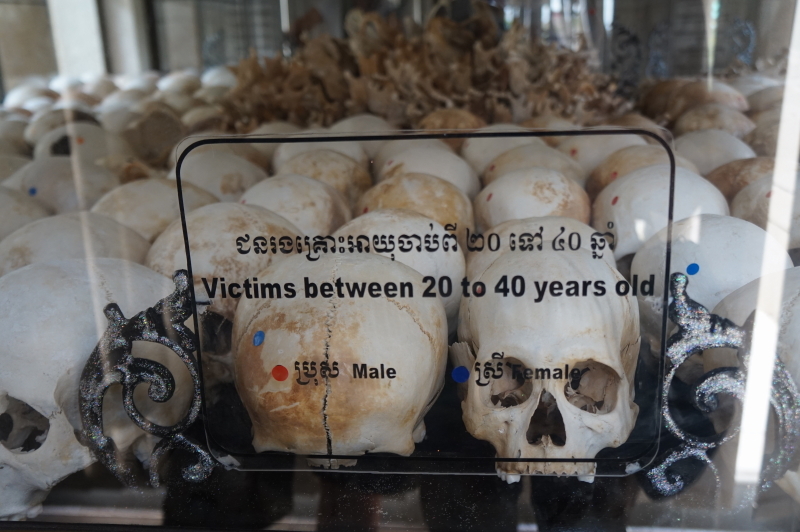 The Killing Fields and Pol Pot | Hello Cool World! Over the past few weeks, we have been traveling around the absolutely wonderful country of Cambodia. However upon reaching Phnom Penh, we came face to face with the brutal history of the regime that shook the country apart only 40 short years ago. To understand the situation, you need a bit of background history. After the French left Cambodia in 1953, King Norodom Sihanouk took control. Under Sihanouk, Cambodia flourished, however, all good things must come to an end. In the 60’s, as the Vietnam war began to heat up, Norodom declared Cambodia to be neutral in the conflict. But as time passed, he began to fear the USA and its Thai and South Vietnam allies, and he agreed to allow the Viet Cong to pass through Cambodia. This proved to be a controversial decision and it caused Cambodia to be viewed as an enemy of the US, sparking multiple responses. The first was the Lindon B Johnson authorized bombing of Vietnamese supply lines in Cambodia. This served mostly to make the Cambodian people angry with America. The second was a right-wing coup, led by General Lon Nol. This caused Sihanouk to go into exile and join with the Communist guerilla force he nicknamed the Khmer Rouge. Seeing an opportunity, the Khmer Rouge said that if they came to power, they would reinstate the king. This proved highly popular, and led to many people who were either loyal to the king or angry at the American bombings to sign up with the Khmer Rouge. Eventually, on April 17, 1975, the Khmer Rouge came to power. Marching into Phnom Penh, they immediately ordered the evacuation of all major cities and closed all public buildings such as hospitals, schools, and factories. They also proclaimed that the calendar would now be reset at Year Zero. The main goal of the Khmer Rouge was to revert Cambodia to a peasant-dominated agrarian co-operative society. As a result, their first action upon gaining power was to evacuate all major cities and move everyone to the countryside. Once there, people were often given meagre food and forced to work 12-15 hours a day. The leader of the Khmer Rouge, Pol Pot, was a French educated former math teacher. He believed that Cambodia needed to be returned to its agrarian roots and, following Marxist doctrine, made to be without class or social standing. However, his methods proved highly radical. As Hean, one of our tuk-tuk drivers told us, when Pol Pot was in France, he had been looked down upon by the upper class. He was seen as lesser, and this caused his first action upon gaining power to be the execution of all upper class and educated people. He would deem artists, merchants, and even people simply wearing glasses as a potential threat. 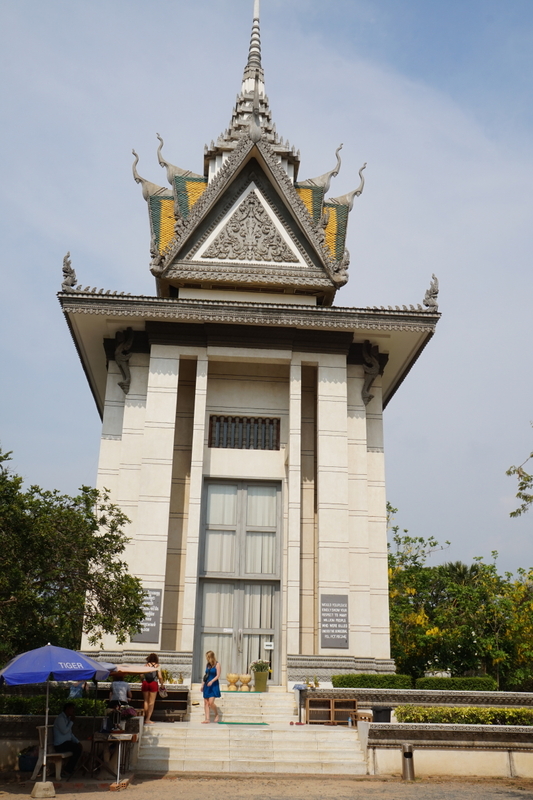 Once we arrived in Phnom Penh, we knew we wanted to learn more about the Khmer Rouge atrocities, and see where they had been committed. However, my sister had also had decided that she didn’t. As a result, only my mom and I went on this particular excursion. 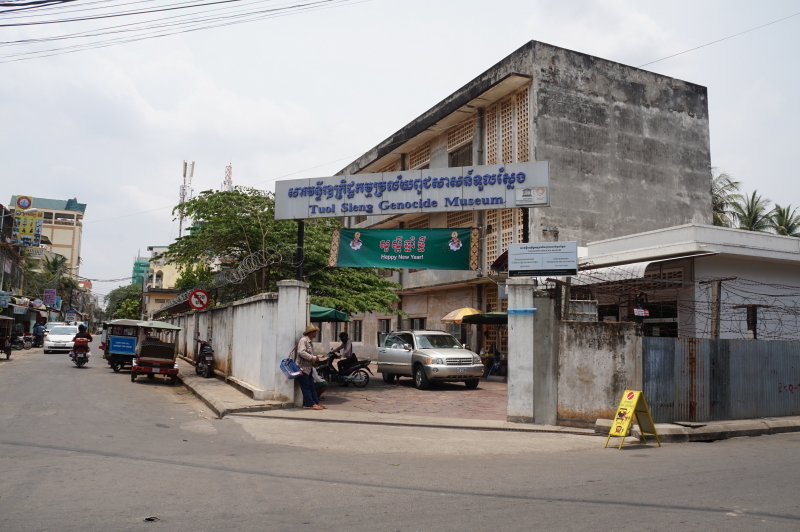 First we went to Tuol Sleng Museum. 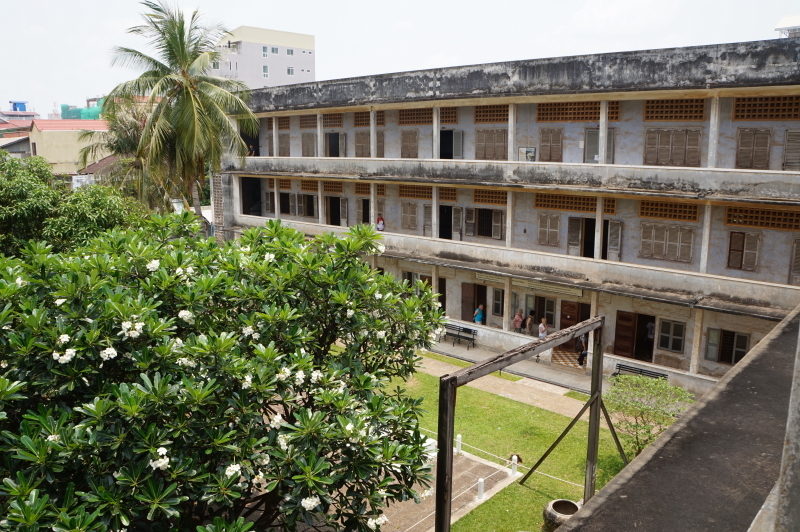 During the time of the Khmer Rouge, this former school – Tuol Svay Prey High School – was known as Security Prison 21, or S-21. Under Pol Pot however, it was turned into a prison and torture facility. It seems almost befitting of the insane dictator that this former high school would be housing mainly educated prisoners. We got a guide who took as around, and what he told us was frightening. He ran through the various methods of torture used to interrogate prisoners (for the sake of the younger readers, I will leave these out). The Khmer Rouge would interrogate their prisoners in order to make them admit to crimes they didn’t commit. Crimes that would justify their execution. Sometimes they would even get them to rat on their friends and family too, and so the prisons would constantly be full. Since the new government was extremely meticulous when it came to record keeping, as you walked through the rooms, you were greeted with photos of all the prisoners ever detained there, as well as of their torture, and sometimes, their death. 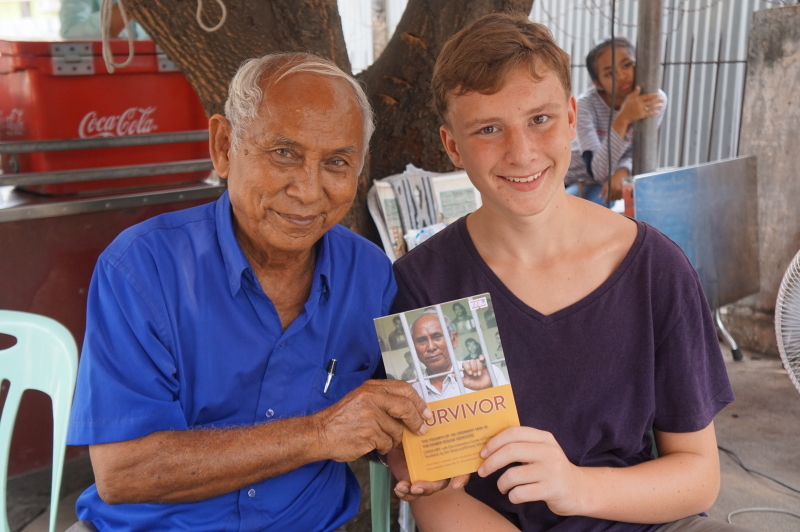 A positive note: meeting Chum Mey one of the twelve survivors of S-21. He survived because the Khmer Rouge needed his mechanical skills. 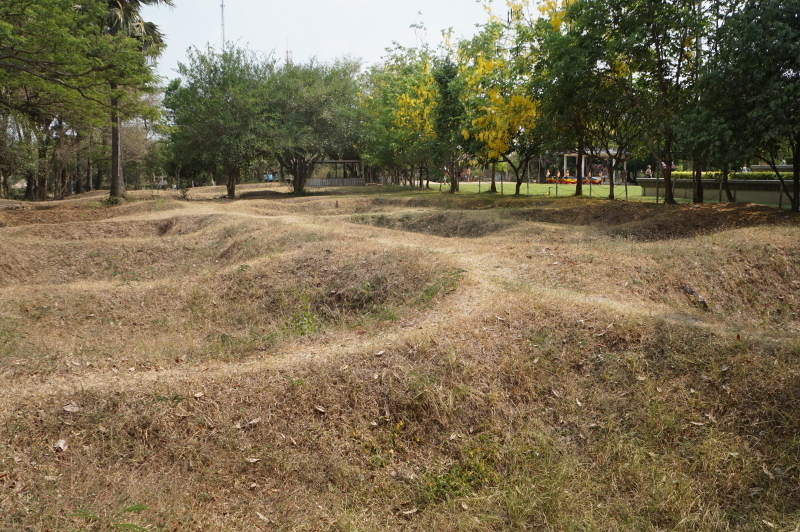 Next we moved on to Choeung Ek, more commonly referred to as the Killing Fields. This is where the prisoners who admitted to their non-existent crimes would be sent. We learned that in the early years (1976 and 1977) about 2 or 3 trucks with prisoners would leave for Choeung Ek. In 1978, many trucks were sent every day, sometimes as many as 300. This was because the Khmer Rouge, fueled by paranoia, began to turn in on itself and execute its own members. Since all the buildings had been dismantled for scrap after the war, not much was left, except signs marking where they would have been. The Killing Fields were oddly less visually striking than S-21. They consisted of a dirt path strewn with bones winding through fields pockmarked with holes where mass graves would have been. In the center, there was a large stupa devoted to those who had died there. Since bullets were too expensive, different modes of killing had to be used. These included farming tools, swords, axes, and occasionally beating the person to death. 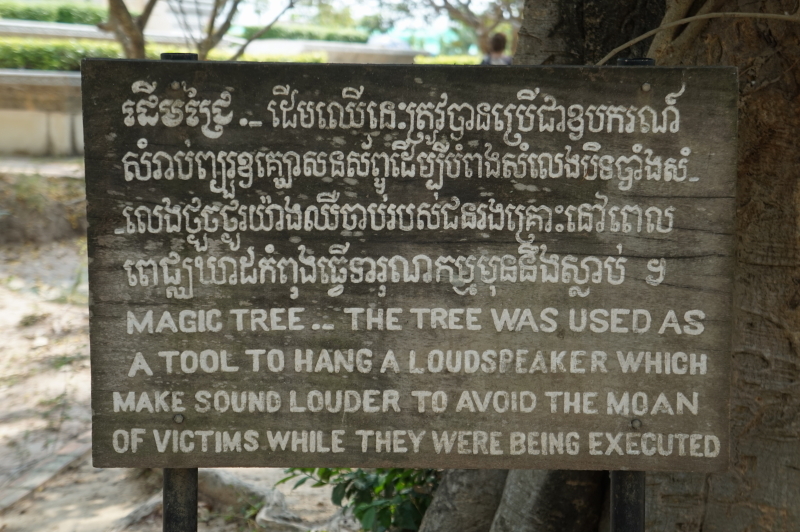 In order to drown out the dying moans of the prisoners, the Khmer Rouge played revolutionary music really loud, so that anyone in the area might think that a rally was going on instead. The climax of this scene would have to have been the killing tree. This was the most horrifying of all the things we saw. In order to break the resolve of a mother, her child would often be killed. This was more often than not accomplished by hitting them against a tree until they were dead. 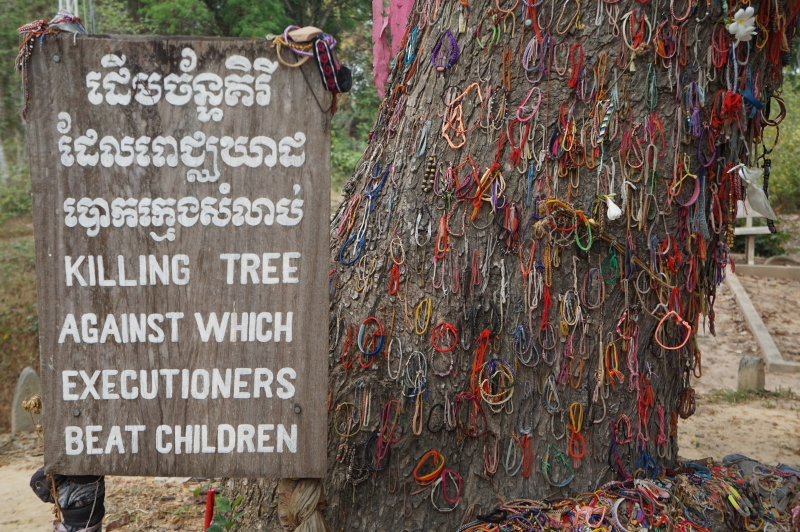 This tree is now an everlasting testament to the brutality of the Khmer Rouge. While we may say “How awful, I am glad it will never happen again”, remember that the same was said after the Holocaust. In fact, one may never predict such things, one may only remember them in an attempt to never repeat them, and in such a manner do the Killing Fields live on as a lasting memory of the horrors of genocide. 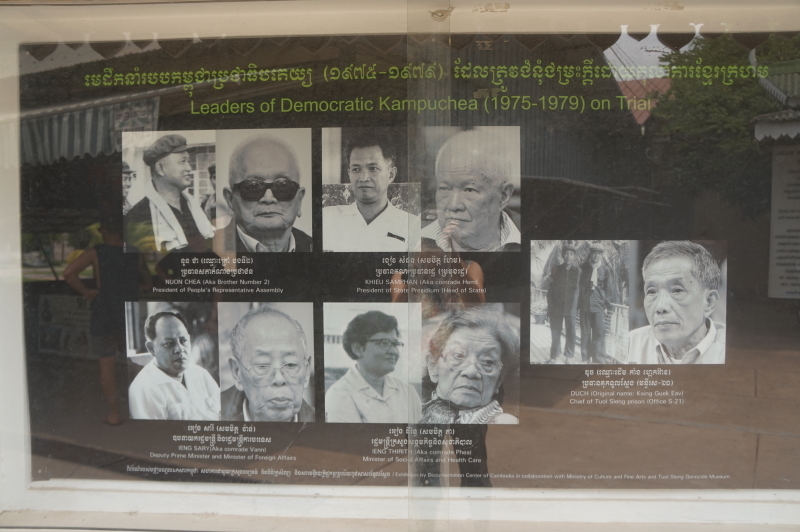 The trials for two of the leaders of the Khmer Rouge, Nuon Chea and Khieu Samphan (shown at the top of this poster), are just underway, some thirty five years later. 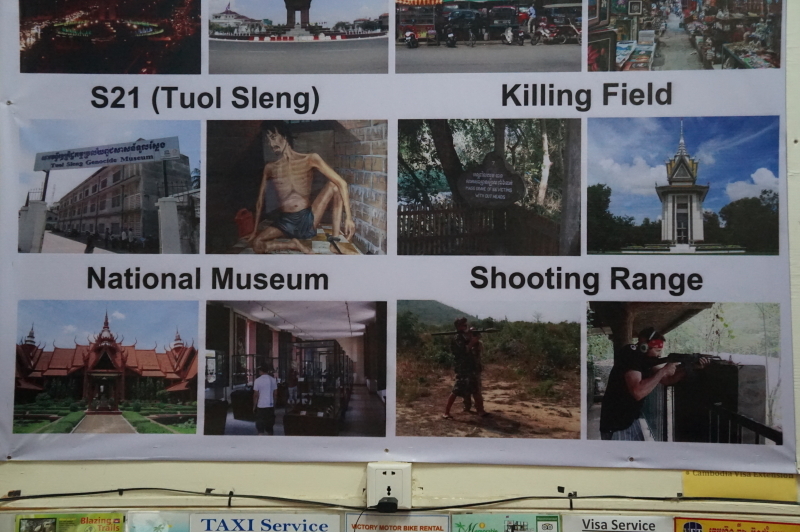 This sheet is on display in tourist offices, hotels, and tuk-tuks, listing tourist destinations in Phnom Penh. 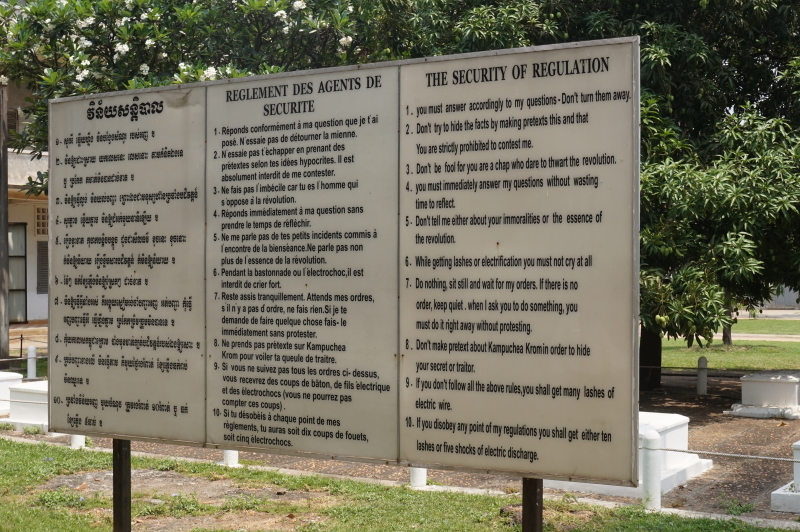 After visiting the Killing Fields, our driver asked me if I was interested in going to the shooting range. He didn’t understand the incongruity. Fascinating adventure. Very similar to the Jews. I knew a little about it but was completely awed at your explanation of the whole events. One can never imagine what horror happened at the exact time of these occurrences. You would think we learn but we don’t. Thanks for your very descriptive narrative. It must have been very difficult for you and your Mom. It certainly gives me food for thought as I sit here SAFE and sound. Take care. Love you guys.